Why Invest in Foreign Currency Bonds? Director of Lombard Odier Internation Portfolio Management Limited in London (W1A 2AJ). Mandataire Commercial at Lombard Odier in Geneva (1204 Switzerland). Professor at the Centre d‘Enseignment Sup'rieur des Affaires in Jouy-en-josas (78350 France). 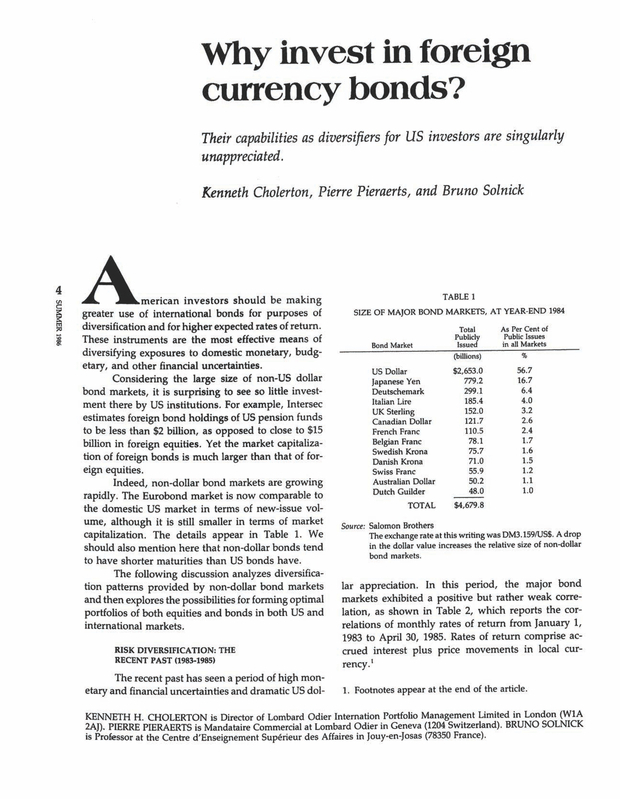 You are going to email the following Why Invest in Foreign Currency Bonds?